Add the form in the above folder to your application, or work with a copy of this form that you have already imported or created. Add an ErrorProvider control to your form. 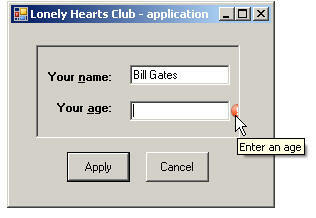 Check that your application works, then close down its forms.